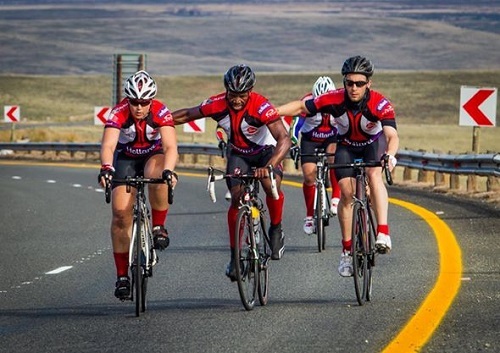 It has now been a month since the 2014 Unogwaja Challenge came to a beautiful conclusion. Following the completion a lot of us were back at work the following day starting a challenge of catching up on what was missed. But there was a fundamental difference to that challenge, our hearts were change and mundane now seems magnificent. 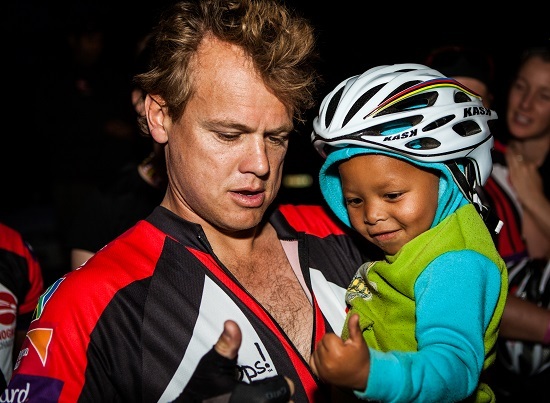 It is hard to ever put in words what you experience on the Unogwaja Challenge, but what I can share with you is 5 lessons I learnt from my experience. 1. It doesn’t matter what you have, it matters only how you use it. One of the most riveting and inspiring moments from the 2014 Unogwaja Challenge was the triumph of human spirit shown by Danielle Mascher. Dani had fallen on day 1 and unknown to all had suffered significant damage to her knee. She cycled on for another 7 days before the pain finally stopped her. Included in this incredible ride was the moment on day 2 when Dani showed grit that I never knew possible. 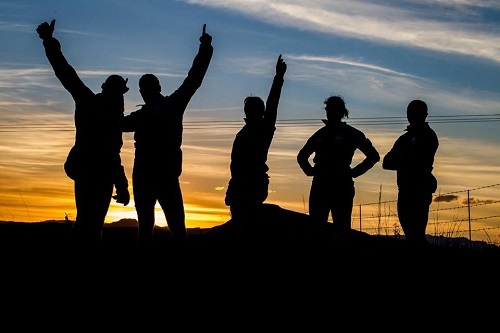 When presented with the opportunity to call it quits on the most challenging day, Dani not only refused, but then charged through the remainder of the route with the kind of humility that makes her stand out among people. I learnt that it doesn’t matter in life what talent, skill, ability, cash, opportunity you have, it rather matters how you use these. 2. We are where we are because we are meant to be. 3. A single moment of spontaneous love can change someones life. There were many moments of spontaneous love along the route that will stick with me for life, but nothing as significant as the moment of Umzimkulu. John McInroy, Rene Fourie and myself experienced something that will alter our perception of humanity for as long as we live. A random group of people in Umzimkulu exploded with love for no reason whatsoever as the Red Love Train of Unogwaja moved through South Africa. Streets were filled in scenes reminiscent of the Tour de France. It was an incredible impact from a moment of spontaneous love and a poignant reminder of the importance of sharing spontaneous love ourselves, you never know the difference a random act of awesome can make on someone’s life. 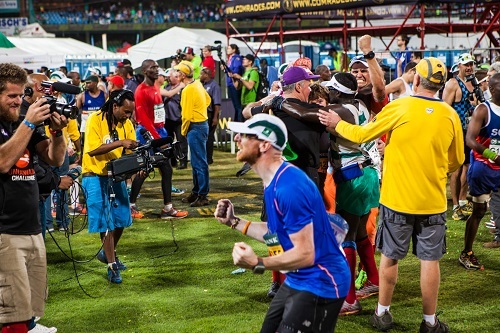 The day of the 89th Comrades Marathon marked the end of an epic Comrades but it will be memorable for two outstanding displays of heart more than anything. The first was Liezl Coetzer, a member of the Red Love Train, who suffered a stress fracture while running. She continued to run to attempt to finish knowing that in her heart that was her dream. An incredible women who was able to inspire many people who she hasn’t even met. The second was the story of Tiago and Rita. Tiago taught me the lesson of love. He taught me that there is no joy in winning when you win it alone. He taught me that in life you pick others up before your pick yourself. In an 89km race, he turned around to help his lady Rita. Rita was unfortunately unable to continue and he only managed to finish with 20 seconds remaining. There was no joy in a narrow victory but disappointment in not being able to take his team-mate to the victory as well. In life the relationships we have are more important than the results we seek and there is nothing that can stop the power of the heart! 5. Don’t allow the failings of others dictate your life. These were the powerful words of Josh Ogada at Union High School. They were also words that hit home for me. In my life I have had various heroes that failed. I have often cast my eyes on peers and seen their struggles and allowed this to be an excuse. I will not allow my marriage to get boring because others have. I will not allow myself to be negative because others have. I will not be deceitful, dishonest or disrespectful because others have. Your failings are yours, they are not mine and I will never, ever allow others shortfalls to derail me again. 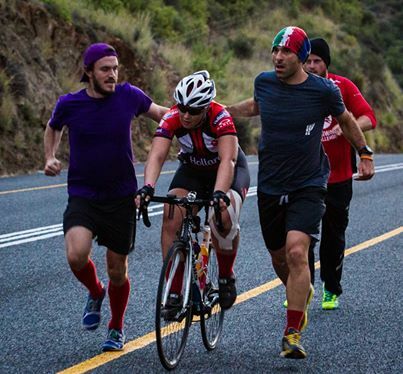 The Unogwaja Challenge 2015 Applications open tomorrow and it is an opportunity for you to be a part of something that words don’t truly express. Follow the Unogwaja Challenge on twitter to stay up to date. Beautiful way to begin my day. Thank You Jabu!